Our Kameleon Pearls ® Colorshift paint has been gaining quite a bit of popularity, due to the great pricing and the cool colors that we have available. The Kameleon Pearls ® are a color shifting paint with angle and light, with usually several different colors involved with the shift. The older Kameleon Pearls ® were made by exact combinations of our Spectre Pearl ® paint and Kandy Pearl ® paint . It is always important to paint over a BLACK base coat with our Kameleon paint pearls , because black will not interfere with the true colors in the pigments . Painting over dark colors will make the chameleons stand out better. Although we have seen some white and red Kameleon paint jobs that are simply awesome. With our products, it’s good to get a few coats down. 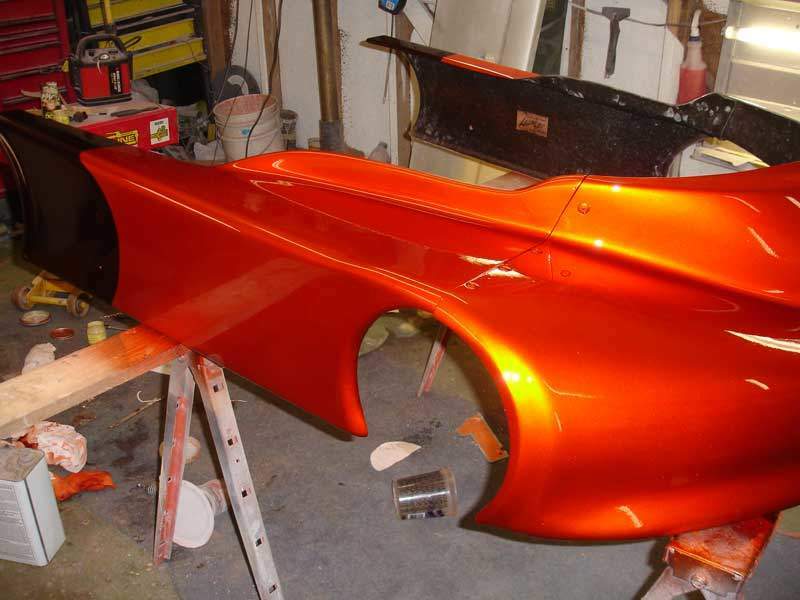 It’s also always true that using a quality top-coat clear (like one that is over 100 bucks a gallon and has adequate UV protection) will keep the colors shifting and protect your paint job like it should be protected. 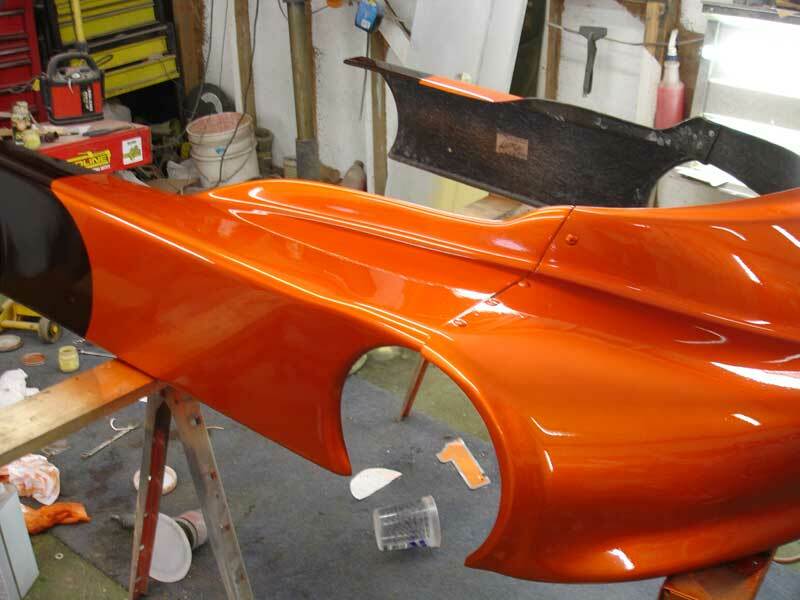 Good quality clear coat is always a recommendation when custom painting. With our Kameleon paint flakes we also ask that painters use a black base coat for overall color changing effects.. They are truly a color changing flake, with different color effects depending on the light and angle that you see them. Our Kameleon paint flakes can be sprayed over a white base, but not to acheive a color-change paint effect, but to acheive more of an abalone shell sparke effect. We highly recommend these flakes and we recommend that people mix them at about 1 heaping tablespoon per quart of base clear, and use a quality clear top coat to spray over the flake, as our other chameleons. Our chameleon flakes are unfortunately the only product we sell that cannot be used in powder coating, because the heat threshold will not tolerate the powder coating ovens. In paint, however, these chameleon flakes can be mixed with our candy paint, pearl paint, or our other metal flakes. Black base coat: You may mix any of the Kameleon paint pigments into any of our spectre pearls or candy paint pearls, but keep in mind that using too much will make the project take on the color of the pearl and overwhelm the chameleon. The effects that you can acheive are endless. 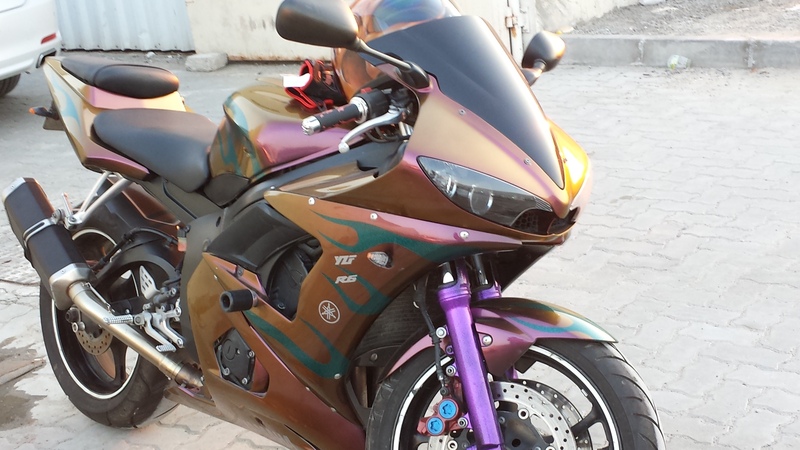 Remember, creating a one-of-a-kind custom paint job isn’t buying it from a can. There are literally millions of make them yourself colors available at your fingertips with very little experimentation. At our prices, anyone could buy a few of our products and create never before seen colors. If you are still confused over which products would look good over your existing paint, or want to discuss your options, contact us! We always try to make ourselves available to painters and powder coaters for extra advise. As with any paint project, paint test panels before you begin, so that you achieve the custom paint effect that you want! Don’t forget to check out our Youtube Channel.